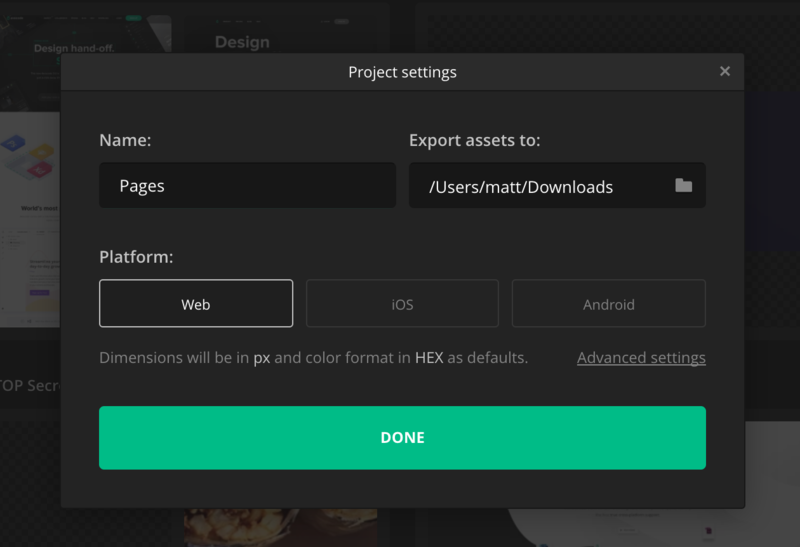 Set export path for the whole project or during image export, to keep your assets organized. Once your project is created, your Export Path will be pre-set by default to your Download folder. 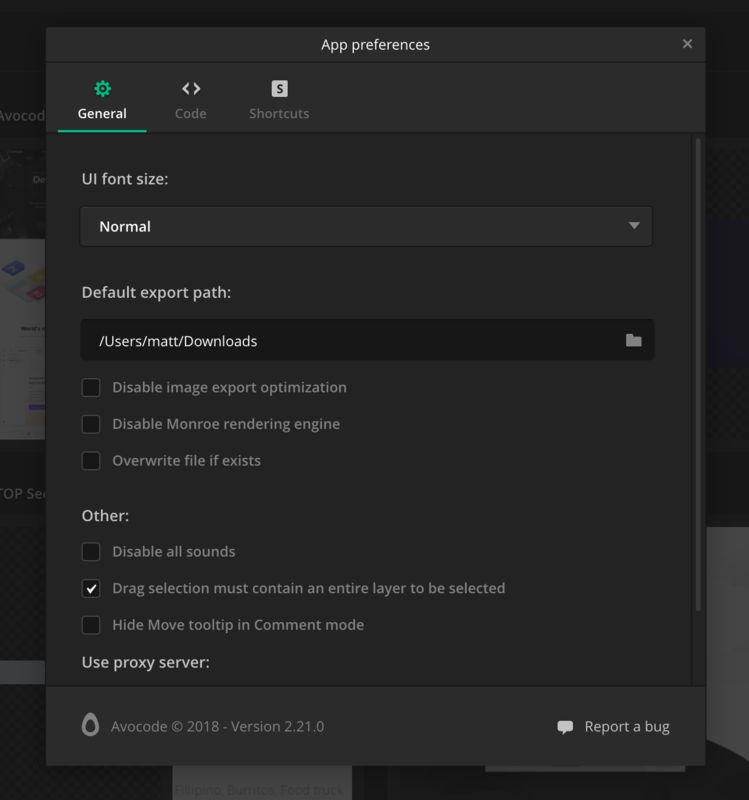 Please note, that you can only change export path in Avocode desktop app. Avocode will always ask you what's the Export Path the first time you export anything. You can of course edit this path later in the Project Settings. NOTE: You can also change the Default Export path in App Preferences/General for all new projects. 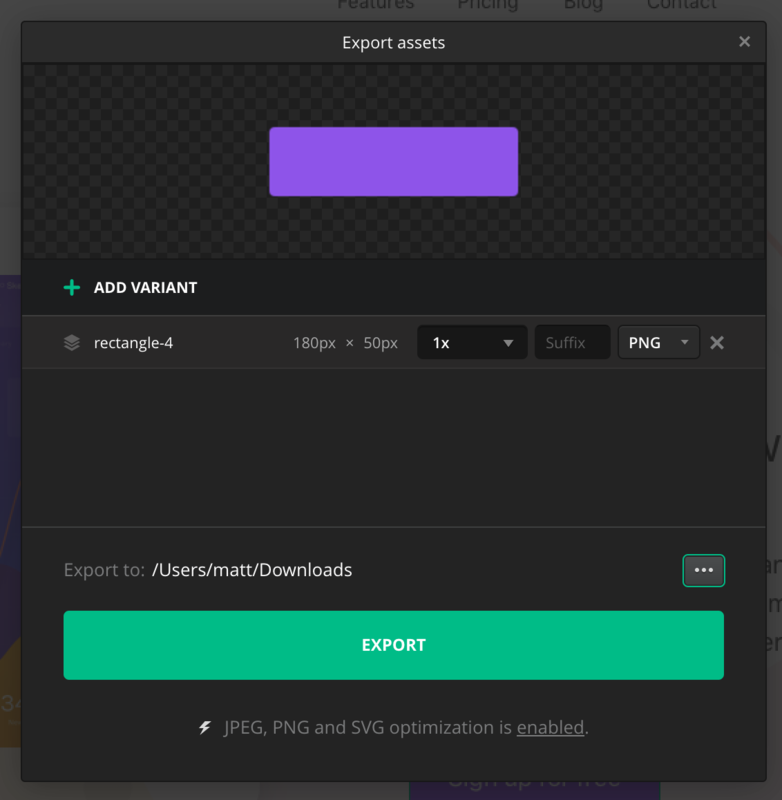 When you will be exporting images from any design in this project, they will be preset to be exported into the folder on your computer you choose here. Even though you have a preset default folder for exported assets, you can always change individually each time you actually hit export while inspecting the design. Just a reminder, feel free to add as many variants of the exported image/slice as you need - you can choose different scale (choose anything up to @4x or type in your specific resolution) for each and/or different format (JPG, PNG, SVG). Look at different usecases about exporting assets in different design scale.